Since March of 2011 there have been rumors flying around that Universal Orlando was getting into the water park business. That was when they filed a trademark on the name Wondersea Island, with the description of use for “Entertainment services in the nature of water parks”. Four years later, we’re finally seeing some action beyond just a name, and it may be getting a new name to boot. Continue reading. In 2013 Universal purchased the land around and under Wet ‘n Wild, the biggest existing water park in Orlando. They said at the time that they had no plans on changing anything or closing that park down, but many are wondering if that may change if Universal opens their own water park, and one closer to their flagship parks no less. This purchase led many to believe that Universal had given up on its own aspirations to build a water park, but that most certainly was not the case. 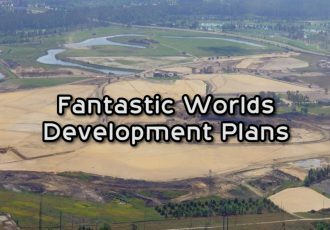 It may have been more about acquiring land for future expansions of the resort, and even a rumored third gate, someday far down the line. 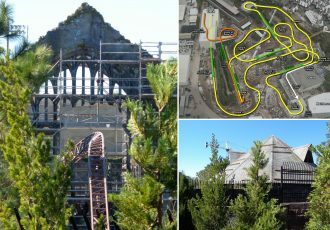 When Universal was owned by the French company Vivendi in the early 2000’s they sold off more than 1800 acres of land, originally intended for a third park. The company had been losing money and the $70 million it gained from the sale helped broker a new deal for NBC’s parent company GE to purchase Universal. 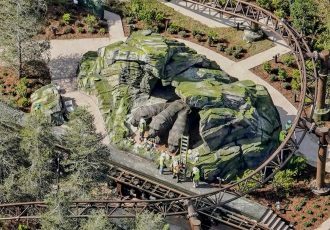 While the parks are in much better hands now with Comcast, who has done amazing things, such as bring in new attractions and hotels, there was still the issue of land. Purchasing the land that Wet ‘n Wild currently resides was probably part of a larger plan for future additions down the line. Which brings us back to today. Permits have been filed through the South Florida Water Management District that include information about Project 533, a new water park on Universal’s property. The proposed water park will be constructed to the south of the recently opened Cabana Beach Resort, alongside I-4. The trademark for Wondersea Island, while still under Universal ownership, is currently listed as abandoned. Whether this is due to disuse or Universal moving on to a new name is not known yet, but we do know that Universal has filed a trademark for the name Volcano Bay. This name fits with recent rumors that the water park will be built around a massive 200ft erupting volcano as the centerpiece. 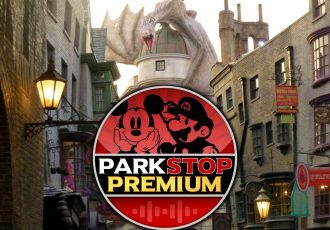 It is not known whether that name will be the park’s name or just an attraction name within the park, as the description for the mark is as follows: “Entertainment services in the nature of amusement park and water park rides”. The project is a proposed water theme park to be constructed to the south of the recently opened Cabana Beach Resort. The site is a vacant tract of land that occupies a plan area of some 25± acres. The site is generally triangular in shape, bounded by I-4 to the south, Turkey Lake Road to the west and the new hotel to the north. We understand that new construction will include slides and pools plus various recreational facilities. A tall “volcano” with slides will be constructed in the southern portion of the site. There will be a series of low-rise buildings constructed throughout the site with several containing equipment pits. The site is to be graded by cutting and filling, the full extent of which is not known to us at this time. We do however understand that some construction elements will be located several feet below the water table. The largest below grade construction will be the bunker that is associated with the Volcano. The finished floor slab of the bunker is understood to be elevation +117 feet, some 20± feet below existing grade. Pool shells will also be located below grade with the deepest such feature being at the wave pool next to the Volcano equipment bunker. Foundation loads for the most part are expected to be relatively light for most buildings and slides. (Assumed to be on the order of 100 to 200 kips for isolated column pads with strip footings carrying in the range 3 to 6 kips per linear foot). The volcano, which will be built with a steel framework, will be more heavily loaded with the structure carrying between 600 and 1,000 kips. This structure is also likely to be subjected to very high uplift loads. Some of the below ground structures may need to be designed to resist permanent unbalanced hydrostatic pressures, with anchor piles possibly being needed for such purposes. Associated with the project will be at-grade pavement areas to include service/access roads and surface parking. Buried utilities will be constructed/provided to support the new project. A retaining wall will be built along a portion of the property line next to the I-4 on ramp. This wall will be up to 8 feet high. 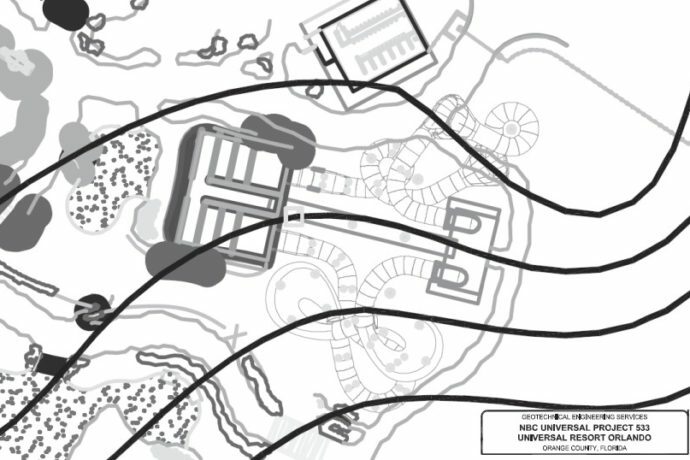 As noted earlier, the site is located at the south end of Universal Resort, to the south of the recently opened Cabana Beach Resort. The property occupies a plan area of some 25± acres, being bounded by Turkey Lake Road to the west and the I-4 ramp to the south/east. The ground cover consists of exposed sands with grass/weeds with areas in the northwest that were formerly used for construction trailer parking and staging/storage of materials and equipment for earlier construction projects. There are a few berms located around the perimeter of the project site (Turkey Lake Road side of the property and the I-4 ramp areas). There is an existing wet bottom stormwater retention pond at the south end of the site. This pond is to be reclaimed as part of the new project. The permits are for two years of construction, so we can probably expect to see this park completed by 2017/2018. 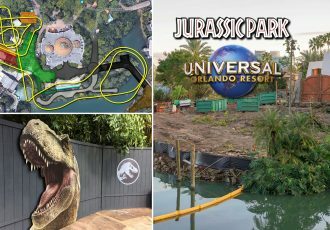 There has not yet been any official confirmation from Universal, but that’s the way they’ve been handling big projects as of late, build first and confirm nearer completion. Are you looking forward to a water park designed by Universal? I know I am!